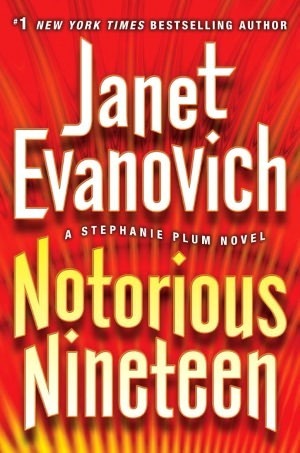 I'm a longtime fan of Janet Evanovich's Stephanie Plum series, loving this series for the humor. The last two books were let-downs for me, and Notorious Nineteen was no exception. The humor was sadly missing, and there were no actual laugh-out-loud moments for me during this book, whereas in books one to sixteen, I could count on drink-spewing laughter. I think the main thing that's getting me down with the latest Stephanie Plum books is that the series is just going on for way too long. 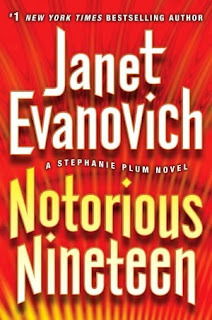 Evanovich needs to wrap things up. It feels like she's milking the series for all it's worth and I don't like regretting the fact that I bought a book. Notorious Nineteen's plot was recycled, there was no character growth, and the romance was lackluster. I wish I could get my money back, especially considering that I paid about $14 for a less-than-three hour read. I did finish the book, just out of principle, but I'm never buying another Stephanie Plum novel---I don't care how long the waiting list is at my local library! I couldn't agree more! Unfortunately, this is not the only series who should close their door.